Home » Sports » What ails the Indian National Cricket Team (Men in Blue)? The Men in Blue returned victorious from the UAE winning the Asia Cup and are currently engaged in a test series with the visiting West Indian cricket team. The first day of the 1st test too has really gone India's way, courtesy superlative batting performances by the Indian top order, particularly by the 18 year old debutant Prithvi Shaw. However it's the team's performances in the overseas Test matches that is still a cause of worry for the die-hard Indian fans. After a clinical performance in the 3rd Test at Trent Bridge resulting in a handsome win, followed familiar results at The Rose Bowl, Southampton in the 4th test and at The Oval in the 5th test - the Men in Blue losing the matches and thus losing another overseas Test series after raising expectations. This was yet another instance of the Indian team coming so close to winning a test series outside of Asia but faltering in the end and failing to cross over the finishing line! At the start of the year, beginning with the tour to South Africa, this Indian team aspired to be the best travelling side and going by their potential, we fans also believed so. Sadly they have fallen short of the mark on both the occasions -- in South Africa and now in England, leaving behind only "'what could have been" stories. Had they not repeated their old mistakes, these failures could have been avoided! This Indian team is not short on talent or promise. Then what ails the team? 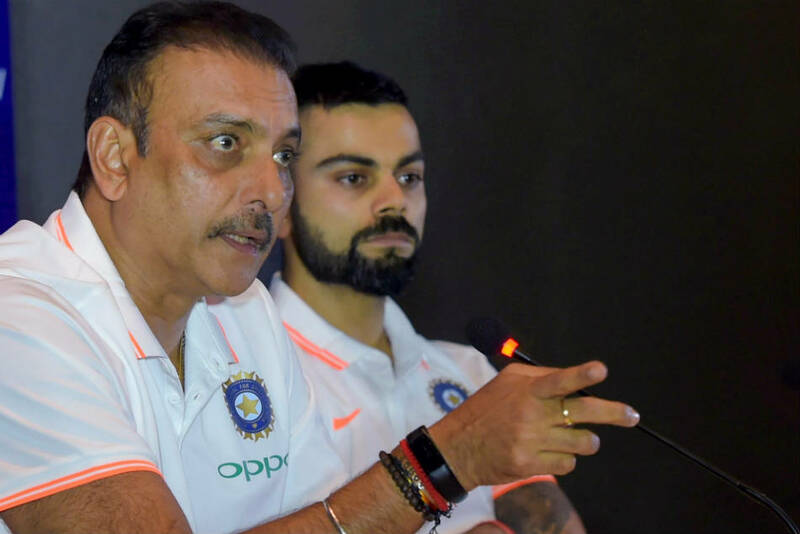 Regardless of the chest-thumping comments of the braggart Indian coach Ravi Shastri, the Indian team hasn't learnt from its past mistakes. Any ardent Indian cricket fan could tell this. Every time the team clinches a convincing victory, like the Trent Bridge Test win, instead of striving for consistency, one can sense complacency and over-confidence setting in thereafter. Amid the euphoria of the win, the shortcomings in technique and the mistakes are probably not worked upon, we suppose. Why else would this "greatest Indian Cricket Team in the last two decades" as per Mr. Shastri, repeat its mistakes again and again in the following matches? Why would it repeatedly falter after having been in great positions in a match? Such opportunities do not come often. In the end, all we are left with is the same old familiar tale of missed opportunities! After losing the 4th Test in Southampton, the coach even went to the extent of saying, "If you look at the last three years, we have won nine matches overseas and three series. I can’t see any other Indian team in the last 15-20 years that has had the same run in such a short time, and you have had some great players playing in those series". Empty vessels make the most noise, eh? Mr. Shastri may repeatedly brag about how his wards have secured series wins in the recent times when playing away from home, counting the series win over familiar opponents Sri Lanka and the West Indies in familiar conditions as great achievements, but the fact remains that the team hasn't played like the No.1-ranked Test team consistently enough. As a coach, to think highly of his wards is a good thing, however to compare their performances with those of the previous eras is plain silly. One contributing reason for India's series loss both in South Africa and in England has been Kohli's questionable captaincy. As a batsman, Kohli is phenomenal and undoubtedly stands head and shoulders above the rest but his captaincy often leaves a lot to be desired. Right from the time Kohli took over the reins from MS Dhoni as the Test captain in 2014, he has regularly changed the team combination, so much that barring this 4th test, he had never fielded the same XI twice! This constant changing and chopping does more harm than good to a player's confidence. Even some of his decisions like his bowling changes or field settings are often illogical and sometimes outright ridiculous and baffling! Like for instance, during the 3rd test at Trent Bridge, when England were 148/9 with Buttler and James Anderson batting, Buttler was on strike and Hardik was to bowl the last ball of the over. Yet the fielders were stationed along the boundary line instead of coming up into the circle to stop the single being taken so that James Anderson could face the entire next over. It's not the first time that due to Kohli's poor captaincy, the Indian team has let the opposition off the hook after being in the box seat. Another big reason for these defeats is the team's batting failures in seaming conditions which was due to inadequate preparation. Mind you, it's not easy playing in the swinging conditions in England but this time around, the Indian team had a realistic chance of winning a Test series in England, given a potent pace attack and also the captain's red hot batting form. The Indian seamers bowled their hearts out throughout the series, with each one of the pace quartet Bumrah, Ishant, Shami and Hardik having taken more than 4 wickets in an innings at least once in the series thereby providing opportunities for the batsmen to score off the target runs. If only the batsmen had supported their efforts consistently! Alas. However, who should they blame but themselves? Agreed that the conditions are always tough for a visiting side in England, the duke ball moves a lot more than anywhere else, but by obstinately refusing to play as many practice games, didn't the Indian team deny itself the chance of getting good match practice against the moving ball? Be it for India or for any other team, to win an away series, almost everything needs to go right and nothing should be left to luck or chance. Today the Indian team has everything they need to be a world beating side - world's richest cricket board, cricketers too being well remunerated, the best training facilities and the unceasing support of a billion Indians. When we fans criticise, it doesn't mean that we want this Indian team to lose. We understand that a team cannot win all the time - you win some, you lose some. But what the passionate Indian cricket fans expect from the national team is to play competitive cricket consistently but more importantly, to learn from their mistakes and not repeat them.